Speeding is a major risk factor for young drivers. 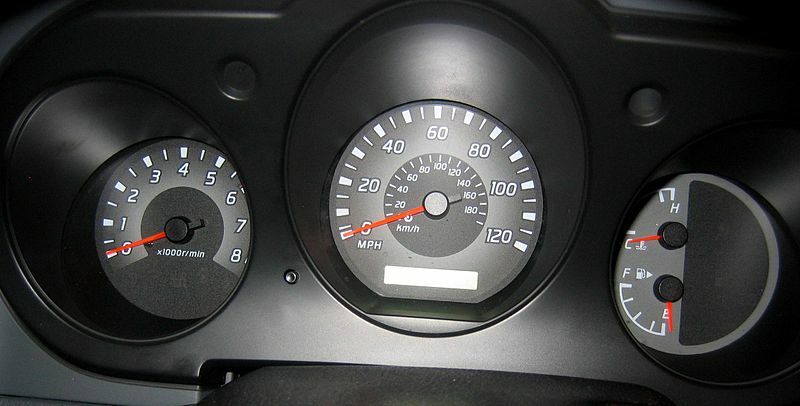 Many parents assume their teens don’t speed because they don’t see their teenagers speeding. However, experts agree that the way teenagers drive with their parents isn’t necessarily the way they drive when they think their parents aren’t watching. Even if you think your child doesn’t speed, it’s important to take steps now to prevent dangerous driving. Speeding is intensely dangerous for teen drivers because teens may not realize the effect of very high speeds. At very high speeds, a new driver, especially, may lose control of their car and may be unable to correct the situation. The results of any high-speed collision in Hollywood or your community can be devastating. 1) Enroll them in a professional and certified driver school so they can learn how to drive safely. Drivers’ courses will teach your teens about the dangers of driving recklessly and will show them how to drive safely. 2) Talk to your teen about speeding. Even if you think your child isn’t speeding, it’s a good idea to sit down and discuss the topic. Review the dangers of speeding and ask your teen what you can do together to stop speeding. Ask him or her whether they have questions or concerns and address them patiently. Sign a drivers’ contract together, promising each other that you won’t speed. Discuss the consequences for being caught speeding with your teen driver. Even if you talk to your teen about speeding once, revisit the conversation every so often. Teenagers get new information all the time and change their opinions and views. It doesn’t hurt to reinforce the lessons you’ve taught. If it’s been a year or so since you’ve talked about this topic, bring it up again. 3) Consider installing a device. You may notice some signs that your teen may be speeding. For example, you may notice unusual wear and tear on the tires of the car your child uses. Or, you may notice your teen is coming back from errands quicker than you expected. If you have any reason to think that your teen speeds, you can install a GPS locator or speed monitoring device to know for sure. 4) Set a good example. Your teen is far more likely to speed if you do. 5) Give your teens an outlet for speeding. If your teens enjoy video games or movies with high-speed chases, consider giving them the same adrenaline rush by signing them up for racing school. It’s a safe outlet for speeding in a controlled environment and is far more exciting than going a little too fast on city streets. In addition, racing school gives your teens an appreciation for what cars do and can even make them safer drivers. Speak with the instructor before and to make sure that they emphasize the dangers of speeding outside of the racing track. 6) React if your teen is caught speeding. If your teenage driver is issued a citation by law enforcement for speeding, make sure they face severe consequences. Your teen should lose their driving privileges for some time, should have to pay for the ticket themselves, and should face other punishments. If insurance rates on the car go up because of the ticket, for example, make your teen responsible for the cost. Another discussion about speeding is also in order after a ticket. You may want to ask what steps your teen would recommend to ensure they don’t speed again. Make them part of the solution and the discussion so they are proactive. If your teen has been injured by a reckless driver or if you yourself have suffered damages and injuries due to a reckless driver, contact Flaxman Law Group for a free consultation to discuss your options with us.